[Entertainment] TVB and Astro Present: “Wellness On The Go 2”! Benjamin Yuen Promoted Swimming in Malaysia! 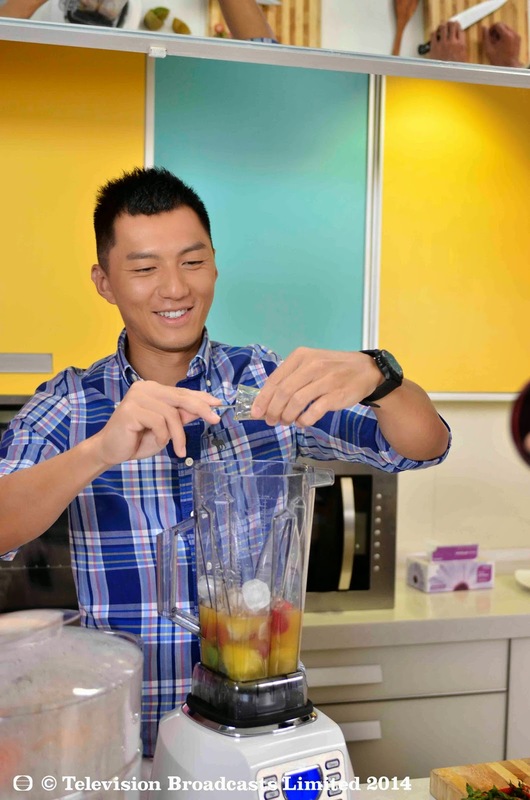 30th July 2014, Kuala Lumpur- TVB and Astro have collaborated once again this year to produce a health programme show titled, “Wellness On The Go 2”. This Health Programme show has invited a few TVB red-hot artistes as guest hosts featuring various sport topics to deliver health messages. After Nancy Wu had introduced Thai Boxing in the 5th episode, TVB artiste Benjamin Yuen has arrived at Malaysia during 17-20 July 2014 to host the 6th episode featuring swimming as the theme. TVB artiste Benjamin Yuen has arrived at Kuala Lumpur a few days ago to conduct programme shooting for Wellness On The Go 2 with swimming coach. Swimming is one of the most popular summer activities, and is especially prevalent in tropical country with warm climate like Malaysia. To promote swimming, Benjamin Yuen was delighted to introduce the basic concept of swimming and demonstrate the correct posture under the instruction of coach. In order to raise the awareness of swimming safety, Benjamin attended a water safety orientation and learnt some lifesaving skill to be shared with the audience. After the professional instruction session by coach, Benjamin was fairly equipped to take part in the coming 2 sets of challenge. He first completed the personal challenge of 25m, 50m and 100m. After warming-up, he then accepted the 100m challenge against Bryan, the representative of Wilayah Persekutuan in Malaysia. Undeniably, the result of competing with professional athlete like Bryan was indeed obvious and predictable. However, Benjamin Yuen has shown his spirit of sportsmanship. He has finished the match and did not give up half-way. After the friendly match, Benjamin expressed his excitement of being able to compete with Bryan and gave a handshake to him. To achieve health and wellness, Benjamin Yuen has had a conversation with a nutritionist on the next day to learn the tips of balanced diet. He also learnt how to cook 2 healthy dishes. The four-day programme shooting had been done successfully. Benjamin Yuen was honored to have this opportunity to spread health message to the audience by introducing his favorite sport, swimming. The 6th episode of Wellness On The Go 2 will be broadcasted on 24 August at Astro Wah Lai Toi and Astro HD. TVB actress Mandy Wong will be arriving at Malaysia to host the next episode on Dancing. Stay tuned!